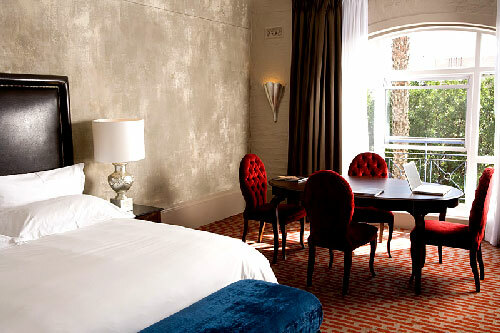 Framed by the ocean and Table Mountain, the elegance and luxury of the Victoria & Alfred Hotel is rivaled only by its relaxed atmosphere and warm personal service. 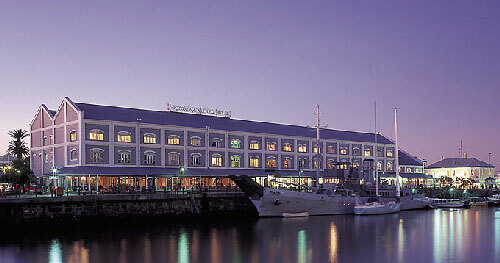 Built in 1904 as the North Quay Warehouse and converted in 1990 to the luxurious V & A Hotel, it is named in honour of the Queen of England and her son who visited the Cape in 1870, when Prince Alfred officially opened the Breakwater basin, today’s Victoria & Alfred Waterfront. 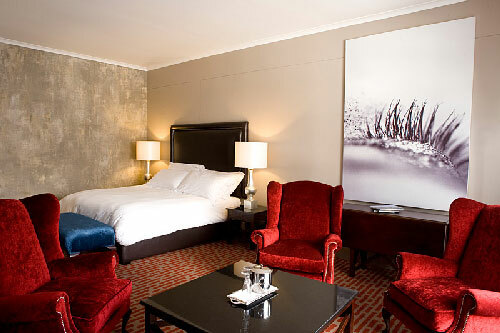 The Victoria & Alfred Hotel is proud to announce the completion of our additional 26 luxurious guest rooms as well as the refurbishment of the entire hotel. All 94 elegant rooms have been creatively styled and feature as standard, a wide range of amenities, including 24 hour room service, air-conditioning, Pay-for-View Television, High Speed Broad Band Internet connectivity, ultra comfortable king-size beds, state-of-the-art flat screen televisions and private fully stocked personal bars. Wireless internet is also accessible throughout the hotel. The extra space and panoramic views afforded by either our piazza or mountain facing rooms make the experience of staying at the Victoria &Alfred Hotel a truly memorable one. Our widely-known and unique personal service and interaction with our guests is further enhanced by a delightful array of luxuries to ensure your total comfort and fulfilment. It's the detail that gives the Victoria & Alfred Hotel its elegance, intimacy, romance and reputation.. the wooden staircase, the telescope, flowers and the service.friendly and efficient yet never intrusive. Then there are the bedrooms - just 94 spacious, including 24 hour room service, air-conditioning, Pay-for-View Television, High Speed Broad Band Internet connectivity, ultra comfortable king-size beds, state-of-the-art flat screen televisions, private fully stocked personal bars, en-suite rooms with separate bath, shower and toilet coffee and tea making facilities, safe, trouser press and wireless internet. 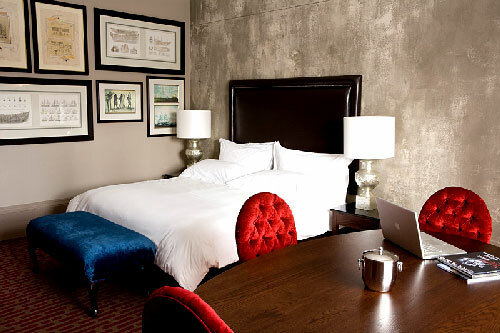 Every single, ultra comfortable, with king sized beds, creatively-styled and well-appointed, on just two floors. 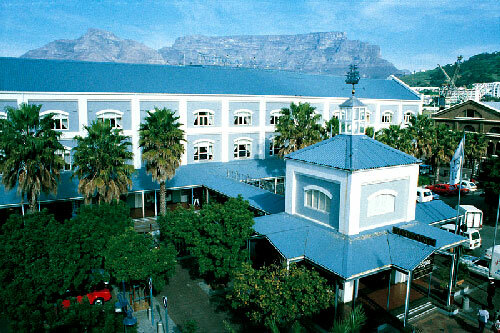 All have one has a view over the ever awake Alfred Basin, majestic Table Mountain or the piazza. OYO Restaurant and Cocktail bar is a new venue at the Victoria & Alfred Hotel. 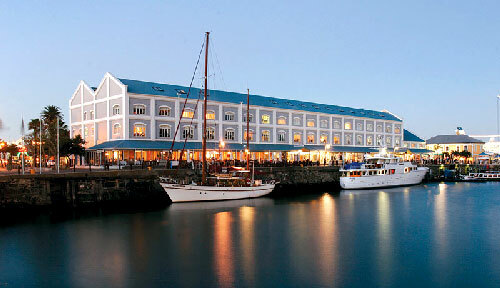 Idyllically situated in the heart of the beautifully restored Victoria & Alfred Waterfront, dining at OYO Restaurant is both a visual and culinary delight as each table overlooks the working harbour and majestic Table Mountain. Relax alfresco on the quayside terrace and enjoy the unique atmosphere. OYO Cocktail Bar's minimalist design and décor, glazed walk-in wine cellar with tasting by appointment and inviting seating, maximise the grandeur of the setting and, of course, its dramatic views. The Forum at the Victoria & Alfred Hotel delivers a host of business and social events in the inimitable style that has characterised the hotel since it opened in 1990. Whilst the flexibility of the Forum's configuration is an attractive feature, it is the unswerving commitment to the highest international standards, faultless attention to detail and creativity that make this venue a favourite for conferences, dinner dances and special occasions, such as birthdays and weddings. The venue can host from 20 to 300 for meetings and cocktails and 110 for a dinner dance. Fleet of luxury sedans utilised for airport, city and restaurant transfers.